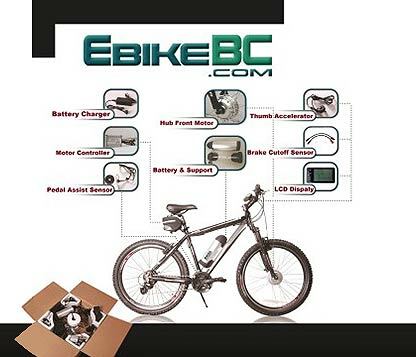 Installation of EbikeBC conversion kits are easy and do not require high technical proficiency or special tools. However you need to know basic mechanical knowledge about service and adjustment of your bicycle. 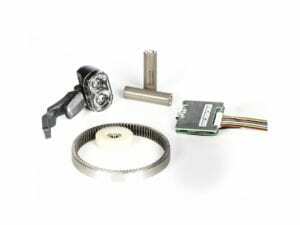 The kit parts are designed in a way that there is no need to special tools or even bike special tools. A set of Screw drivers, Allen keys, cutter, Plier and an adjustable wrench is all you need to accomplish the project. You can do it anywhere, indoors or outdoors. 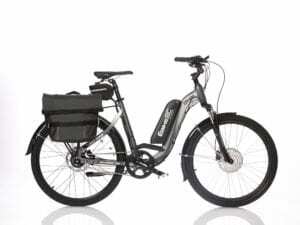 If the kit is customized well for your bike, there would not be much challenge in the procedure; however some jobs might be a little bit time consuming and requires more patience; for example sometimes replacing the tube and tire to the new wheel, removing handle bar grip, adjusting PAS sensor and magnet plate or adjustment for brake magnet switches take a while. All the connections are designed to match the right mate. There is no way to a mistake for connecting the cables. 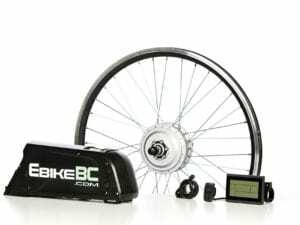 Theoretically the total time required to do an EbikeBC complete installation is about 45mins. But in average you need to put more time specially while finishing the cable covering and zip tie job. Try to do it when you enjoy doing that. Download and read the installation manual before you start the installation. See the LCD setting manual. 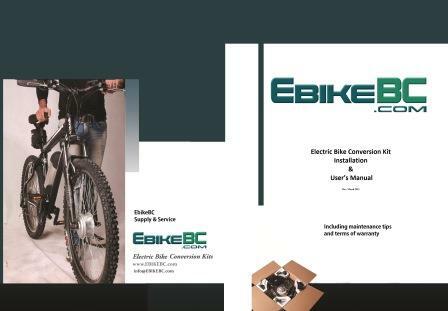 Watch EbikeBC kits installation videos whether you want to get the idea or need to know installation details or some tips and tricks. You can disassemble and reinstall them on another bike later. check the wheel size (rim size), battery mounting area first and then apply. If the new bike comes in a different rim there are 2 options. Ask us or our dealers to exchange the rim or ask us to send you the right rim and spokes to let your bicycle mechanic do it for you. We recommend you consult our experts for the new bike installation and it is always free and welcomed.